At Chapel Hill Tire, we provide a number of maintenance flush services to help you keep your car in good shape. These regular system maintenance flushes are the best way to get great value, great gas mileage, and a long life out of your car. They are also the best way to keep costs low – changing out your car’s fluids is less expensive than replacing damaged parts that the fluids help protect and keep functioning. Your car’s transmission fluid lubricates and cools your transmission, and also provides the connection between the engine and the wheels. Most automatic transmission failures are due to a poor quality of transmission fluid, and this can be a costly problem. The average cost of replacing a transmission can be anywhere from $4,000 – $8,000. In order to help you protect your transmission, Chapel Hill Tire offers a transmission fluid flush service which is a complete removal and replacement of your transmission fluid. Without a complete fluid removal, the old fluid (along with its contaminants) will mix with the new fluid and reduce the effectiveness of your fluid’s ability to protect your transmission. Hydraulic brake fluid heats to high temperatures when it is helping your brake pads stop your car. The repetitive heating and cooling of the fluid causes it to attract moisture from the air. Over time, the moisture deteriorates your brake fluid which causes the internal braking system components to break down. As your brake system deteriorates, pieces of rubber and metal flake off and end up in your brake fluid. Over time, your brake fluid also becomes worn out and less functional. Old and dirty brake fluid can decrease your car’s stopping ability, which is a dangerous problem to have. In order to help you stay safe on the road, we can complete a full brake flush for your car. 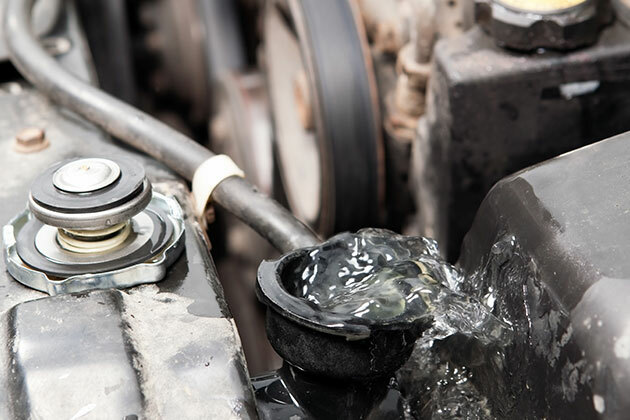 Our technicians will remove all of the brake fluid from your system and replace it with clean fluid. You should get your brakes flushed every 30,000 miles, but if you notice that your vehicle’s stopping power is diminishing, you should have it inspected by a mechanic immediately. Your power-steering fluid is the hydraulic fluid that gives power to the power-steering pump and enables you to steer your car. As your car gets older, components of your power-steering system wear out and taint the fluid. When this happens, it forces your power-steering pump to have to work harder and eventually break down. This means you’ll either have to replace the pump, which can cost a few hundred dollars, or go without power steering which makes the car difficult to drive. We recommend a power-steering flush to prolong the life of your car’s power steering so that you don’t have to replace other, more expensive pieces. If you notice a whining noise when you try to steer or see a leak of any kind, bring your car in to Chapel Hill Tire so that we can make sure your system is working properly. If you notice a decrease in your fuel economy, your car might be due for a fuel injection cleaning. Why Chapel Hill Tire for Maintenance Flushes? Our skilled technicians know the importance of a properly working network of systems within your vehicle. To prevent expensive damage, you need to maintain an efficient system. We want your car to run as smoothly as possible, for as long as possible, so visit us and we’ll give your car the necessary maintenance flushes it needs. We’ll get you in, out, and on with your life.